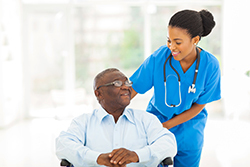 Nursing homes, senior living facilities, hospice and home health care companies offer a special level of personal care to their clients. To maintain your high level of support you need to focus on the needs of patients, not your books, and we can help. Mitul Mehta CPA PC provides financial management to all kinds of businesses in this segment of the healthcare industry. Our goal is to offer the bookkeeping, payroll, budgeting, and tax planning strategies that will keep your business running smoothly so you can spend more time with your patients. We understand the type of support you need because we have experience working with many other similar businesses in the Dallas, TX area and nationwide. Call us at (214) 746-5074 to find out how we can handle your accounting and bookkeeping tasks, develop tax planning strategies and offer solutions to make your business more profitable. We offer a strategy session to get started. We do much more than prepare your annual taxes. At Mitul Mehta CPA PC we work hard to design a tax planning strategy that will manage your company's tax liability and decrease your effective tax rate. Our practice management consulting services will not only improve operations and simplify accounting procedures but with our financial guidance your business will stay profitable and find ways to grow. Get paid faster when you outsource your medical billing to us. We'll file claims promptly and collect payments sooner so managing cash flow is easier and less stressful. Paying employees and submitting payroll tax filings on time is often a challenge for medical practices. When we take over your payroll processing you’ll get our dependable service at better rates than the national payroll firms offer. Your medical practice will benefit from the financial oversight of a CFO or Controller. Outsourcing will fit any budget because you only pay for the services you want.